1987 was the 60th Anniversary year for Ten mile River Scout Camps who issued a number of earned awards as part of the celebration. There ere actually two varieties of each patch. One for Ten Mile River and the other for 10 Mile River. 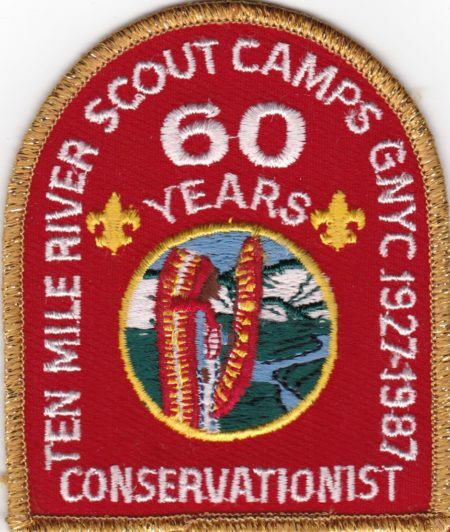 The Ten Mile River Conservationist patch is shown below. Does anyone have the original requirements for this patch?